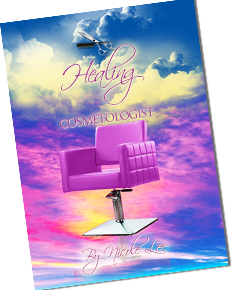 “Healing Cosmetologist” book is necessary for the market place because we live in a society where human species live in FEAR every day of their lives. A human beings hope, dreams, desires and aspirations have been covered by the smog of fear, depression and negative influences/energies. By creating false temporary relaxation by the use of man made drugs,over indulgence of alcohol and prescription pills; creates false hope and temporary solutions which causes people to end up worse off than they were before. The POWER of TOUCH is most effective than any man-made drug. PURE intent to send LOVE thru touch is the equation to creating Heaven on Earth! Our society has become this superficial ,surfaced, unemotional state of being until the POWER of touch has become unnatural for most. Touch ignites a sensation thru-out the body and spirit of a person. That sensation is a reminder that we are ALIVE! A touch, a simple hug, the words I LOVE YOU can ignite LIFE into a person’s spirit. Those who are involved in this 12 billion dollar hair and beauty industry that read and take on the practices of the book “Healing Cosmetologist”, will begin to expand their consciousness and affect anyone they may touch, in a positive way. First, In order for one to ignite life within one’s being, all aspects of an individual’s heart, mind, body and spirit MUST be in alignment with the Divine Almighty God-The Higher ENERGY source of all that is GOOD. Thru disciplined daily practices of meditation, seeking truth, walking in your life’s purpose and surrounding yourself with POSITIVE people is the beginning to becoming POSITIVE energy!